Would you like to get your name on this trophy? The RJ Leonard Novice Croquet Cup is open to all Carrickmines members. Only a basic understanding of Association Croquet is required. Only novices can enter. Guidance on how to play will be provided on the day! Past winners include Presidents Hugh Brennan and Alan Looney. Start time depends on number of entries. For more information, and to enter, please contact Croquet Captain Sandy Greig on mobile: 086 030 5236, or by email at sandygreig60@gmail.com. 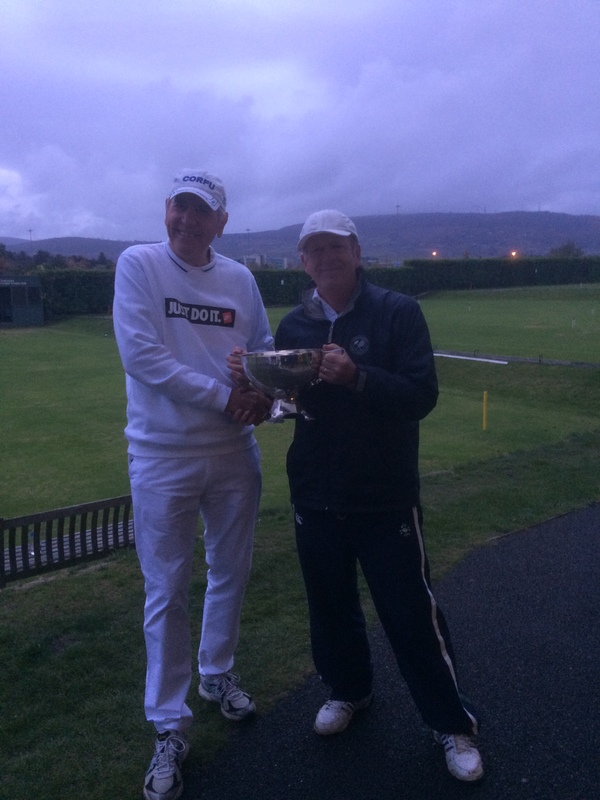 The photo shows Tony receiving the trophy from Croquet Captain Sandy Greig.